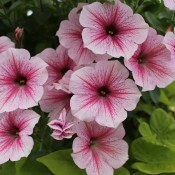 Petunia is still one of the most popular and indispensable bedding plants. 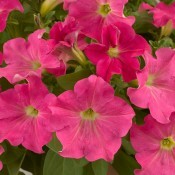 Petunias are prolific trailing bloomers that flower constantly all summer. An outstanding feature of Tried & True varieties is their perfect branching. 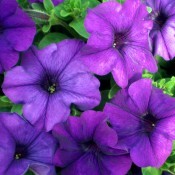 They are robust, weather resistant, and distinguished by their even growth. With the wide range of striking colours and flower shapes, Petunias are ideally suited for beds, borders, baskets, tubs, and window boxes. Blooms are mostly self-cleaning. This prolific semi-trailing bloomer has exceptional garden performance with its uniform growth habit and long flowering power. The showstopper blooms are large, bright pink with chartreuse yellow veins and center. Dramatic cascading colour results in eye-catching baskets, mixed containers and window boxes. Cherry Vein is light pink veined and is a prolific bloomer that flowers consistently all summer. It is weather resistant and has a robust but even growth habit. Ideally suited for baskets, tubs, and window boxes. Blooms are self-cleaning. A striking addition to a sunny garden. 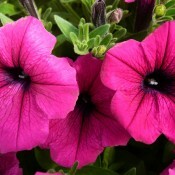 This Petunia is a beautiful deep plum and is a prolific bloomer that flowers consistently all summer. It is weather resistant and has a robust but even growth habit. Ideally suited for baskets, tubs and window boxes. Blooms are self cleaning. A striking addition to a sunny garden. 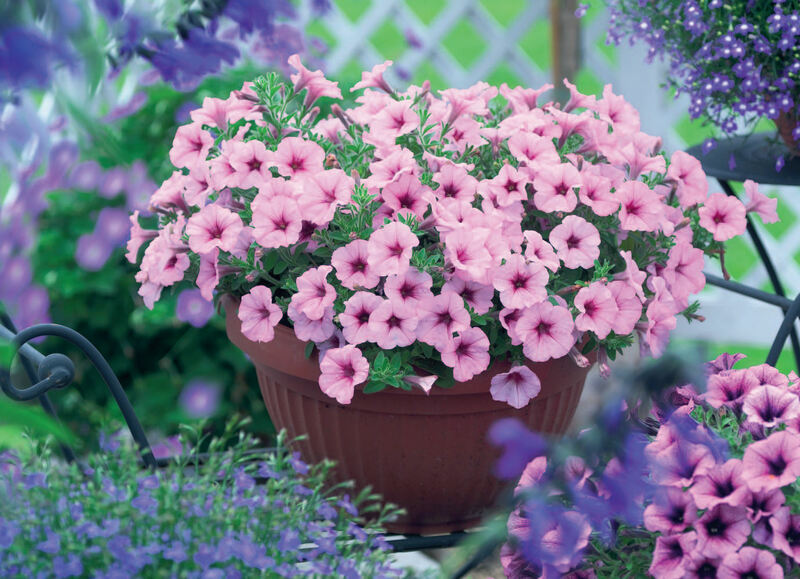 Petunia SunPassion™ Raspberry Ripple is an early, prolific bloomer of eye-catching bicoloured pink and white flowers that are maintained all-season long. The well-branched, semi-trailing plant is capable of withstanding a wide range of unfavourable weather conditions. 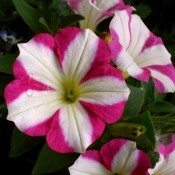 SunPassion™ Raspberry Ripple lends itself well to hanging baskets, pots and as bedding plants. 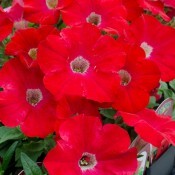 This Petunia is a brilliant red and is a prolific bloomer that flowers consistently all summer. It is weather resistant and has a robust but even growth habit. Ideally suited for baskets, tubs and window boxes. Blooms are self cleaning. A striking addition to a sunny garden. This prolific semi-trailing bloomer has exceptional garden performance with its uniform, mounding growth habit and long flowering season. The showstopper blooms are large lemon yellow with darker yellow veins and center. Dramatic cascading colour results in eye-catching baskets, mixed containers and window boxes. 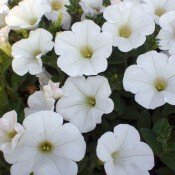 This Petunia is a clear white and is a prolific bloomer that flowers consistently all summer. It is weather resistant and has a robust but even growth habit. 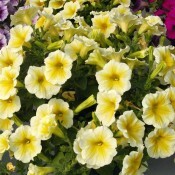 Ideally suited for baskets, tubs and window boxes. Blooms are self cleaning. A striking addition to a sunny garden.